Gangs of the Waterfront isn’t so much a sequel to Gangs of New York as it is a follow-up, and by “follow-up” I mean a film that just uses the same premise to build a movie on. So if you enjoy the type of movie where a gangster is impersonated by someone who happens to look exactly like him, then these two movies are nothing but sweet bread and butter. If, on the other hand, you’re me and you just watched Gangs of New York not too long ago (and weren’t too thrilled with it), Gangs of the Waterfront is going to hit you in roughly the same way. 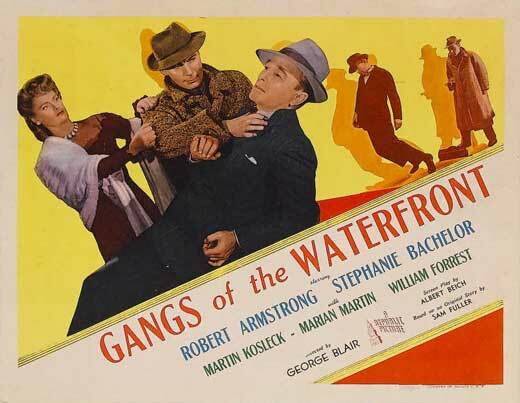 This is going to seem obvious, but honestly the main difference between the films is that these gang members are the ones running the waterfront. It’d be hard to know this if you missed the film’s title, though, as outside of a few foggy waterfront warehouses, most of the film takes place in apartment buildings and offices. Gangs of the Waterfront is a low-budget film, without even the benefit of stock footage to sell itself, so instead of wasting money on waterfront sets, the producers apparently decided to combat this problem by having an incessant foghorn blaring over probably 75% of the movie, no matter what the location is. It’s so annoying! And it also had the side effect of lulling me into a light sleep at times. So yeah, this is basically any ol’ low-budget gangster movie with a foghorn over it. Boo! The characters aren’t anything special, nor are the performances. This film does seem to be better produced than Gangs of New York, but there is a difference of seven years between them, so that’s probably more a sign of the times than anything else. What really sets Gangs of New York apart as the better of the two is its willingness to craft a story without much real-world logic. There’s some of that spirit still evident in Gangs of the Waterfront, but it’s hardly enough to matter. For example, consider how the gangster being impersonated is handled in each of the films. In Gangs of New York, the gangster is placed into prison, and while there he’s switched with the FBI man who looks just like him. The warden then places the true gangster into a special cell… concealed behind a hidden panel in his office! Huh? It’s more Bond movie than ’30s gangster flick, and it added a level of whimsical fun to the film’s setup. In Gangs of the Waterfront, the gangster is returning home from a hunting trip when he crashes his car. He wakes up in the hospital, badly injured and in no shape to do much of anything. Upon hearing this, the city’s policemen recall a taxidermist who once offered to impersonate the gangster, so they call him up and switch him with the criminal at the hospital. The gangster, meanwhile, just stays in his hospital bed with a guard outside. Boring! I can’t really recommend Gangs of the Waterfront, but if you’ve seen Gangs of New York and liked it, it might be worthwhile to track down this follow-up/alternate version of the same story. Sam Fuller wrote the original scripts for both films (which were both re-written before shooting and directed by others), but neither really showcase his ability to craft unforgettable films. Against all the odds, Gangs of the Waterfront does end on an especially high note, and it’s one that I’d have never, ever, in a thousand million billion years seen coming. 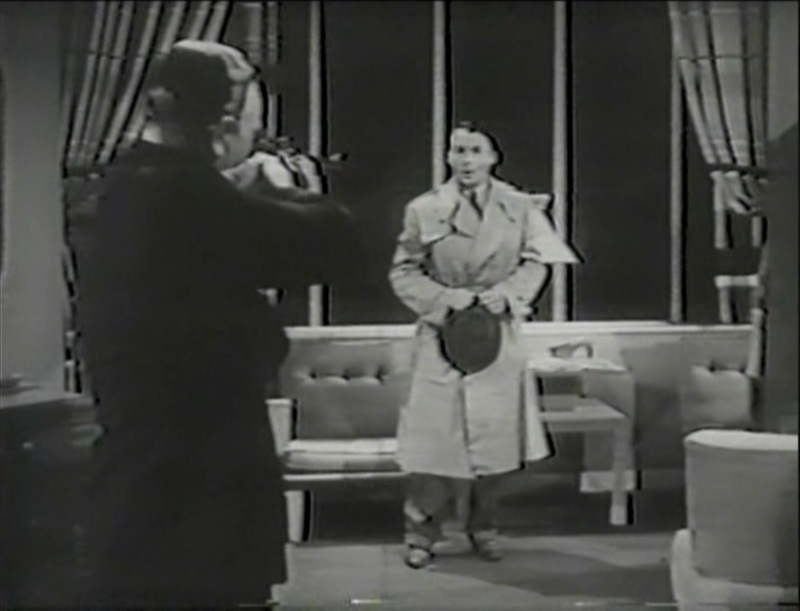 The last shot of the film features a stuffed gorilla in the window of the taxidermy shop winking to the camera. If nothing else, the film has that going for it!